David G. Hughes, RPT, has been immersed in the piano service business since 1979. His interest in pianos was spawned at Bostons Berklee College of Music, where he took courses in piano tuning and repair and eventually began working in the schools piano maintenance department. There, graduating in 1980, he received a bachelors degree in music with a major in composition. His principal instrument was, and still is, bass guitar. Visit www.oblivionsun.com and www.jazzvan.com for examples of his musical interests and pursuits. Dave joined the Piano Technicians Guild immediately after returning to Baltimore from Boston. He achieved Registered Piano Technician status in 1981, and is a member of the Baltimore Chapter PTG. Dave has held many offices within the Baltimore Chapter, including President. At first the rebuilding work took place in the basement of his first home, then moved on to a small 1000-square-foot storefront in Reisterstown, Maryland. Now Dave occupies roughly 4000 square feet in a light industrial park, also in Reisterstown  just beyond Baltimores Beltway. Dave is regularly invited to instruct at PTGs regional and national conventions. 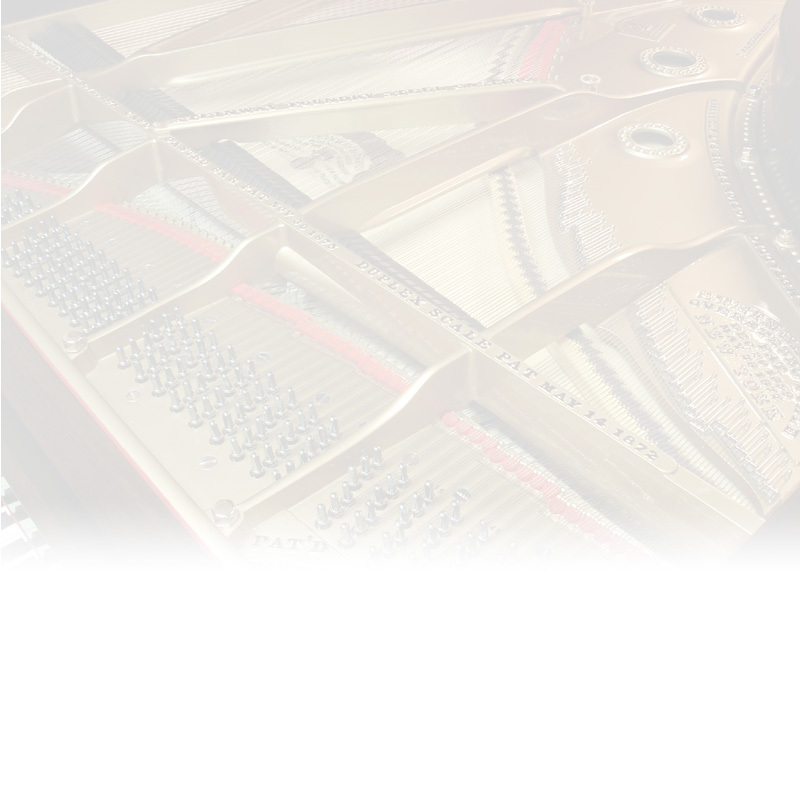 His topics center on all phases of Steinway grand piano restoration. He is a recipient of the organizations Member of Note Award, the Jack Greenfield Award for excellence in writing, and has received a Presidential Citation. He writes often for PTGs monthly publication, The Piano Technicians Journal, and has written for other piano industry publications. Dave enjoys pleasant and long lasting relationships with the management at both Steinway & Sons and Mason & Hamlin piano companies, even though he constitutes competition for these high quality manufacturers. In 2001 he founded Vintage Case Parts, a subsidiary company to his piano restoration business, that specializes in the manufacture and sales of reproduction cabinet parts for vintage Steinway grands. These once obsolete items are used by dozens of national high-end restoration shops. Visit www.vintagecaseparts.com. Dave has been married to his wife, Judy, since 1979. She works daily in the shop, performing such critical tasks as hammer installation and bridge notching. Their Collie dog, Freddy, is a daily visitor as well. In addition to his musical projects, as avocations Dave enjoys model railroading, golf and home improvement projects. Translation: he doesnt sit still well.